Researchers just overturned the way scientists thought our brains learn – a view that up until now has been widely accepted for almost 70 years. This discovery-based upon new experimental evidence – paves the way for more modern artificial intelligence (AI) applications such as machine learning and deep learning algorithms that imitate our brain functions at a much faster speed with advanced features. Moreover, the research may change how doctors view disorders of the brain, such as Alzheimer’s and may alter treatments for other forms of dementia. Since 1949, a central tenet of neuroscience has been that our brains learn by modifying and strengthening the synapses. Now, a group of scientists led by Professor Ido Kanter at Bar-Ilan University in Israel has overturned the 70-year-old commonly-held belief that our brains learn only by strengthening the synapses. The team published their results based on experimental evidence in the March 23rd Scientific Reports, part of the highly respected Nature family of scientific journals. Synapse and neuron cells with dendrites. Credit: Getty Images. The human brain is a complex network containing around 90 billion cells called neurons that communicate with each other via connections called synapses. The brain communicates by sending signals that travel through the neuron to the synapses. When the message reaches the end of a neuron, called the synapse, it is converted into a chemical signal called a neurotransmitter. The neurotransmitter that travels across the synaptic gap to the neuron on the other side, which turns the neurotransmitter back into a signal and sends it down the line. 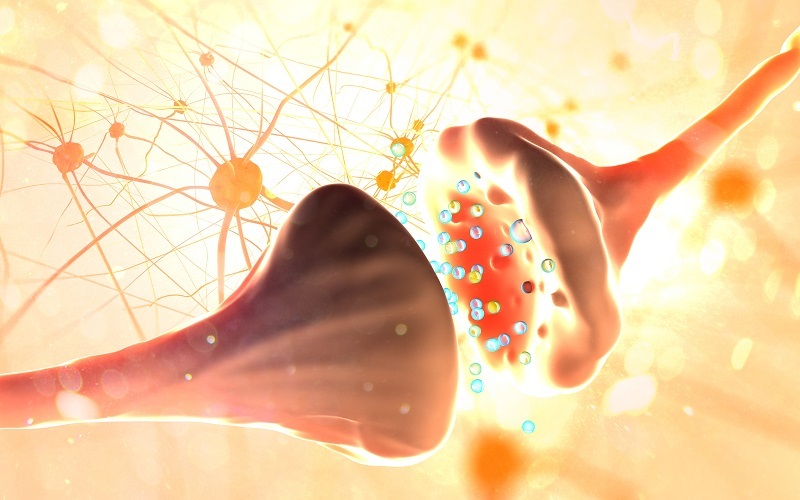 The number of these synaptic connections is mind-boggling, and researchers estimate that neurons interconnect at a hundred trillion to one thousand trillion synapses. Neurons have specialized appendages called dendrites and axons. Dendrites bring information to the center of the neuron and axons take information away from the center. The neuron collects multiple incoming signals through several extremely long arms called dendritic trees that form branches. Every thought, experience, physical sensation and feeling triggers thousands of neurons, which form a neural network. When we repeat an experience, the brain learns to trigger the same neurons each time, by strengthening the synapses, according to Hebb’s axiom. A phrase that Donald Hebb coined in 1949 and had remained a central tenet of neuroscience. Dendrites ascend in importance at the expense of synapses in the new model of how the brain learns. Credit: Ido Kanter. Kanter provided the above sketch which compares the old synaptic brain learning scenario shown in pink in the center with the new dendritic learning scenario shown in green. The neuron with two dendritic trees in the center collects incoming signals via thousands of synapses, represented by the red valves. In Kanter’s new dendritic learning scenario shown on the right, only two adjustable red valves are located near the neuron which is the computational element. 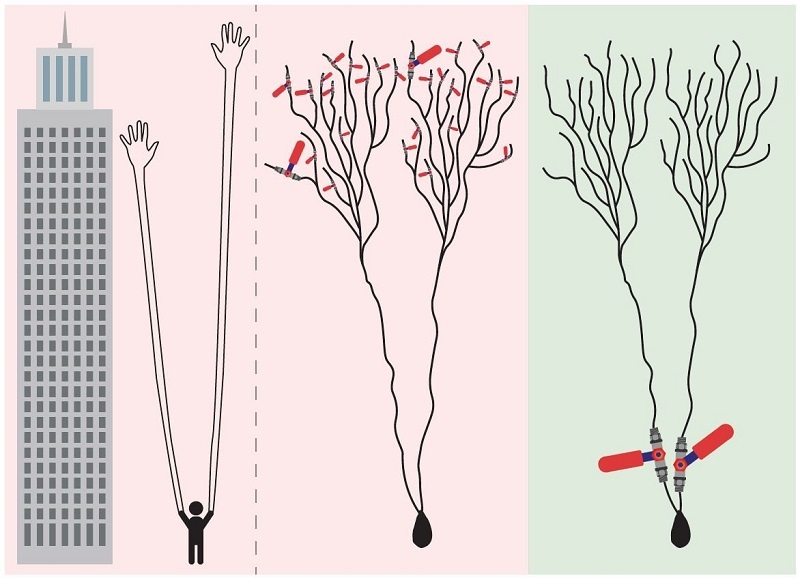 The scale indicates that if a neuron receiving incoming signals is represented by human fingers, then the neuron’s ‘hands’ or dendritic trees would be as tall as a skyscraper. Hebb’s axiom has been deeply rooted in the field of neuroscience for 70 years, and few have dared to propose a different explanation. Moreover, dendrites and synapses connect to the neuron in a series, making the exact site of the learning process seem irrelevant. Kanter’s team also discovered that weak synapses play a newly important role in the dynamics of our brain. Until the new study, neuroscientists had always assumed that weak synapses, even though they comprise the majority of our brain, were insignificant. In the new study, Kanter’s team found that weak synapses play a more significant role that is postulated by the commonly held synaptic learning scenario. 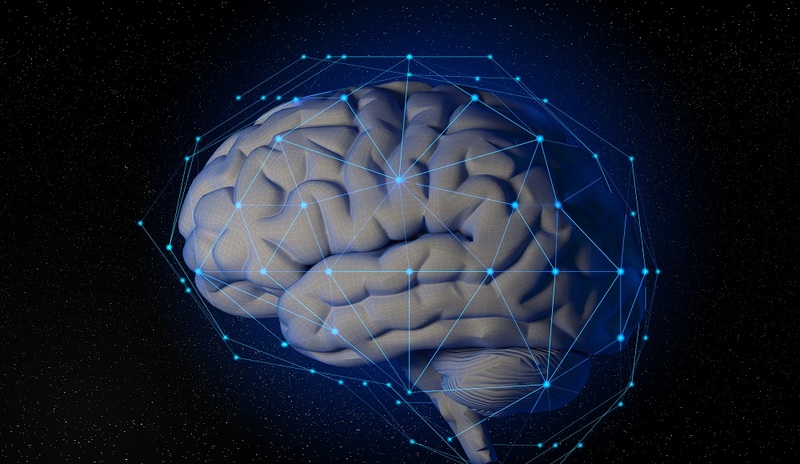 Moreover, Kanter says that AI developers have studied how the brain learns, using it as a model for artificial intelligence advances such as deep learning and neural networks. The new study, he says, changes the paradigm how the brain learns and paves the way for AI applications that imitate the human mind at a much faster speed with advanced features. Cover Photo: Eoneren / Getty Images. Diagnosis, Treatment, and Advice: This article is intended for informational and educational purposes only and is not a substitute for qualified, professional medical advice. The opinions and information stated in this article should not be used during any medical emergency or for the diagnosis or treatment of any medical condition. Consult a qualified and licensed physician for the diagnosis and treatment of any and all medical conditions. Dial 9-1-1, or an equivalent emergency hotline number, for all medical emergencies. As well, consult a licensed, qualified physician before changing your diet, supplement or exercise programs.